Shanghai has two international airports something no other city in China can boast. Pudong International Airport handles 60% of flights, while the remaining 40% use Hongqiao International Airport. As one of the main Chinese airline hubs, the city has opened connections with nearly two hundred cities, half domestic ones and half international and regional ones. Direct flights provide the city with connections to dozens of international air terminals such as Los Angeles, New York, San Francisco, Seattle, Fukuoka, Osaka, Tokyo, Bangkok, Brussels, Madrid, Paris, Singapore, London, Moscow, Rome as well as regional links with Hong Kong and Macau. Domestic flights link the city with Beijing, Guangzhou, Shenzhen, Xi'an, Xiamen, Hangzhou, Chengdu, Chongqing, Shenyang and others. Situated on the south bank of the Yangtze River estuary in east of the city, Pudong International Airport, completed in 1999, is about 30 kilometers (19 miles) away from the city center and 40 kilometers (25 miles) from Hongqiao International Airport. In total about fifty airlines have flights to over sixty domestic cities and over seventy cities of other countries and regions. It has two terminal buildings and the Termial 2 (T2) was newly completed in 2008. There are buses and other means to shuttle between the termials. 52 airlines worldwide has agents in T2 and 13 airlines in T1. Pudong International Airport enjoys very convenient transportation to the urban area. Visitors can transfer to the city center by various vehicles. Pudong Airport Shuttle Bus: There are 9 shuttle bus lines handling transfers from Pudong Airport to the city center. Maglev: The speedy Maglev Train (SMT) will be a wise choice for visitors to transfer to downtown. When getting off the maglev at Longyang Rd. Station, metro line 2 is right there to take visitors to the city center. Metro: Metro Line 2 has been extended to Pudong Airport. The Metro Station is between the two terminal buildings. Passengers can use this line to get to Pudong, Nanjing Road and further to Hongqiao Airport. Taxi: A taxi costs approximately CNY 150 from Pudong Airport to People's Square, the center of the city, and it takes about 50 minutes. Shanghai Pudong Airport Bus to Nearby Cities: Here are long-distance shuttle bus routes from Pudong Airport to neaby cities, such as Hangzhou, Suzhou, Yiwu, Kunshan, etc. Also, time and pick-up point from those cities are shown. Located in the west of the city, Hongqiao International Airport is only 13 kilometers (8 miles) from the city center. It mainly handles the domestic flights. There are two terminals with two runways. Terminal 2 (T2) is open into public use on March 16, 2010. Fourteen airlines are in Terminal 2 (T2) and another fourteen airlines are in T1. Passengers should make sure to get to the right terminal. Hongqiao International Airport has convenient transportation to the downtown area. Hongqiao Airport Shuttle Bus: At Hongqiao Airport, seven bus lines provide transfers to the city center and one bus line to Pudong Airport. Taxi: The taxi fare from Hongqiao Airport to People's Square in the city center is approximately CNY60 and it takes about half an hour. Metro: Line 2 and Line 10 are extended to Hongqiao Airport Terminal 2. Passengers can take subway to downtown area and Pudong Airport. From your hotel, walk west around 500 meters to get to Wusong Road Tiantong Road. Take public bus no.61 to Siping Road Suyang Road. Transfer to metro line 4 to Baoshan Road and metro line 3 to Baoyang Road Station, Exit 1. Afterwards, walk to the cruise terminal. Upon landing, you can take the metro line 2 from PVG to East Nanjing Road Station, Exit 3. Then take public bus no.37 to Baiduqiao Bus Stop. After arriving, walk south around 250 meters to find your hotel. What's the best way from Pudong airport to the Shanghai Cruise Port? Take metro line 2 to Century Avenue Station and change to line 4 to Baoshan Road Station. Then take metro line 3 to Baoyang Road Station, Exit 1. Take public bus no.29 to Wusongkou Road Baoyang Road Bus Stop. After arriving, walk northeast to the cruise port directly. 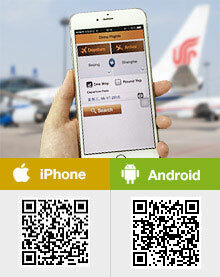 Can you organize a transfer in Beijing and Qingdao from the airport/railway station to the hotel and back? Tell me, please, your prices and terms of payment. Hi Daria, as I know, this website doesn't provide the renting car service. And according to my experience, you can ask the hotel you live in to help you find a bus to pick you up before your arrival. Or you can consult the airport staff how to rent a bus in the airport. We are a family of 6; our airplane land in Pudong Airport at 1:30am; what are the options to go from the airport to our hotel Renaissance Yu Garden. 159 South He Han Road. You can take the night airport bus from the airport to East Yan’an Road Middle Zhejiang Road. Then walk about 1.2km you can get the hotel.